Kyoto lets you back into the world of old Japan, of its religion and royalty and commerce and nightlife. Gion’s streets beckon welcomingly after a day of gazing in awe at the time and positive energy funnelled into the construction and upkeep of Kyoto’s thousands of temples and shrines, proving there is still a lot of life in this beautiful old girl yet. Once a place of geisha silks, parks carefully laid out to reflect the seasons, narrow cobbled streets and wooden dwellings, and classically beautiful art and writing, these things remain but are kept aside like museum pieces rather than part of the regular cycle of life. Our pick of the best places to stay in Kyoto are ideally placed for exploring this fascinating city, with the majority being centrally located and easily accessible to Kyoto's highlights. Downtown Kyoto is convenient for the city’s restaurants and boutiques, for the train station and the subway station and you’re within walking distance of both Southern and Northern Higashiyama, which is where you’ll find many of the most beautiful and famous temples and sights. Southern Higashiyama is also a good choice, especially if you want to be close to Gion, and if you’re looking for somewhere a bit more traditional and atmospheric to stay. Greener and more residential, Northern Higashiyama has fewer choices when it comes to hotels, but there are a few ryokan and guesthouses. There’s a lot of accommodation around Kyoto Station, which is great for when you arrive, and for travelling outside of Kyoto, but it’s not quite as good for local sightseeing. And if you don’t fancy staying within the city then Arashiyama, with its wonderful green gardens and river, and mountain, views, might be perfect. 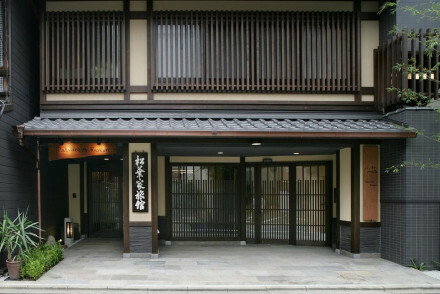 This is also where you’ll find some of the best places to stay in Kyoto. Visit the Fushimi Inari-taisha Shrine, built to honour Inari, the Shinto God of rice. The shrine has spectacular Tori Gates that visitors can stroll through - and if you're feeling active, the climb to the summit rewards with dramatic views. A sign of the Shrine's popularity is how busy it gets, so visitors are advised to get there early in the morning. 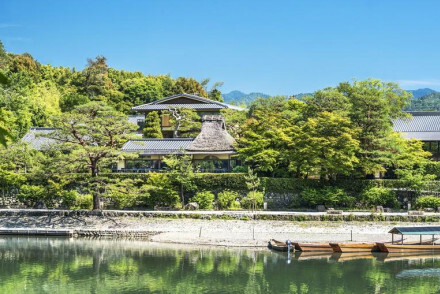 For a wonderfully tranquil experience, visit the Kinkakuji Temple. Known as the Golden Pavilion, the temple was first constructed in 1397 - making it a fantastic historic site. The grounds and water around the temple are extremely peaceful and make it a must-do experience. Explore Arishiyama, a historic and beautiful town near Kyoto. With major attractions such as the bamboo forest and an abundance of temples - there's a huge variety of things to see and do. The town enjoys a picturesque location amidst mountains, rivers and forests. For something a bit different, visit the Monkey Park Iwatayama - where visitors are able to get up close to these charismatic creatures. It's even possible to feed the monkeys, and the view from the mountain top alone is well worth the climb. Visit Nijo-jo Castle, a historic place where the Shogun used to reside. Visitors are able to take a tour and learn about the fascinating architecture and history of the place and as with many of the sights in Kyoto, it has beautifully tended gardens. Our selection of the best places to stay in Kyoto offer visitors everything from properties in the centre, ideal for city exploring, to luxurious retreats, ideal for unwinding after a day out and about. Located in the heart of Kyoto, Kanamean Nishitomiya offers traditional Japanese accommodation -think tatami woven-straw flooring and futon bedding. Relax in the garden with a drink and enjoy splendid half-board kaiseki cuisine! A wonderfully charming and incredibly peaceful city spot. 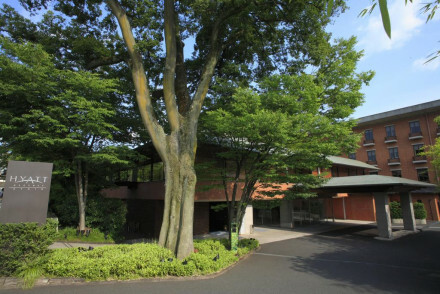 Unwind with a massage and enjoy the delicious cuisine at the Royal Park Hotel, a smart property located in the heart of Kyoto. Rooms are light and airy. Expansive suites have an elegant air with antique furniture and impossibly large beds. International dishes are served in the restaurant and massages can be arranged. Well located with many sights within walking distance. The Ritz Carlton is a chic property perfectly mixing traditional Japanese style with contemporary luxuries and boasting a central location overlooking the river. Rooms are spacious and comfortable with windows framing the lush views, bonsai plants, modern bathrooms and traditional art. Ideal for exploring the city. 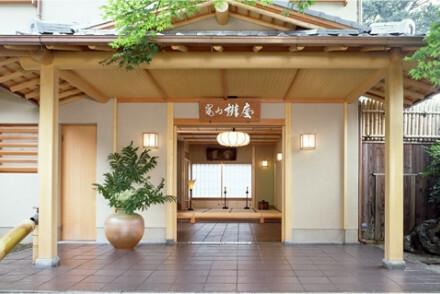 If you want a true culinary experience, Motonago Ryokan is a charming traditional property in an ancient part of Kyoto packed full of historical and religious sights. Authentic rooms feature tatami-mat flooring and futon beds. Thirteen course regional meals give a true Japanese experience. Ideally located to explore the city. 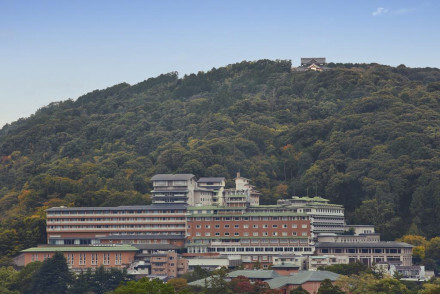 Also fantastic for foodies, with an on-site restaurant and in a great location for the Nishiki food markets, The Westin Miyako Hotel is a grand hotel nestled into a lush hillside overlooking the city. Smart rooms are simply dressed with large windows to enjoy the views, contemporary bathrooms and crisp white linen. An elegant restaurant serves up continental dishes. Well located to visit Kyoto's many attractions. Gion Hatanaka is an historic property designed as a resting place from the bustling city. Rooms are traditional in style with classic Japanese minimalism; think roll down futons, paper screens, large windows and plenty of light polished wood. Regional cuisine is served alongside green tea and sake. A relaxing stay. For absolute tranquility, Yoshida Sanso is a traditional ryokan nestled in beautifully manicured gardens and comprising just five Japanese styled rooms. Experience Kyoto-style kaiseki dinners (made up of many courses), wander to nearby temples or simply unwind in the gardens with a good book. A blissful escape from the bustling city. With no shortage of amenities for guests, the Hotel Granvia makes a great base for relaxing after wandering the city. A slick property boasting a central location next to Kyoto Station, where contemporary rooms feature floor to ceiling windows, crisp white linen, large modern bathrooms and epic city views. A choice selection of international restaurants and elegant bars. The perfect base for city exploring. 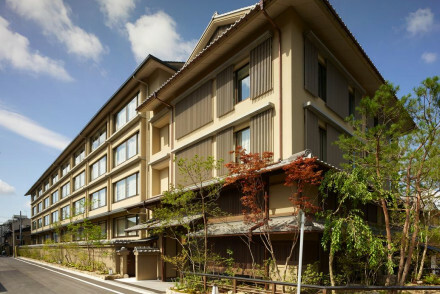 Complete with a swimming pool Rihga Royal Hotel Kyoto is a sleek modern property located in the heart of Kyoto. Smart rooms are well proportioned and feature floor to ceiling windows, clean lines and luxury bathrooms. A restaurant with a view, serves up continental buffet and A la carte options. A chic base for a city stay. Hoshinoya Kyoto is a stunning riverside property set in thick forest - which dramatically changes colour along with the seasons. Traditionally styled rooms feature paper screens, picture windows, Japanese mats and the larger ones have wooden baths. Dine on inventive regional dishes. The perfect rural escape. Tranquil, with rural views, but also good links to the city, Arashiyama Benkei is a beautifully designed traditional guesthouse with just ten light and airy rooms - all with tatami mats and garden views, and the best with hot spring baths. The restaurant specailised in great regional cuisine is served up in the restaurant. Citadines Karasuma-Gojo are smart serviced apartments in the centre of the city which sleep between two and five people. Decor is simple and clean; creams throughout with a functional layout, kitchens and city views. Breakfasts are served and there's a communal lounge. Well located and priced. 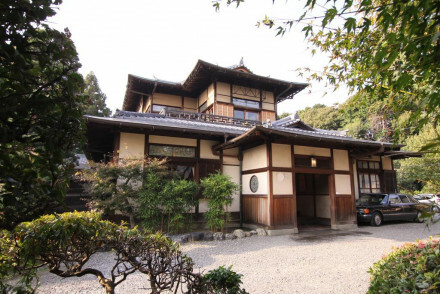 Matsubaya Ryokan is a recently renovated traditional two-storey wooden guesthouse. Interiors merge contemporary and classical styles creating an airy space with an authentic, yet comfortable, feel. Think tatami mat flooring, a choice of futon or western bed and modern bathrooms. The perfect base for city exploring. 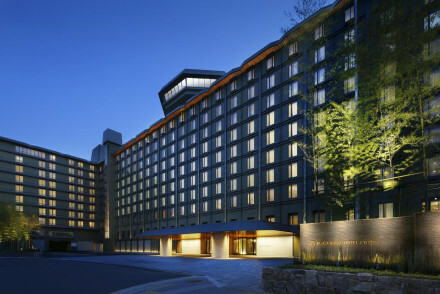 For central luxury, Hyatt Regency Kyoto is a chic luxury property set in pretty Japanese gardens in central Kyoto. Contemporary rooms are simply styled with pop-art, crisp white linen, large windows and indulgent bathrooms. Boasting three exemplary restaurants and a spoiling spa - this a tough one to beat. 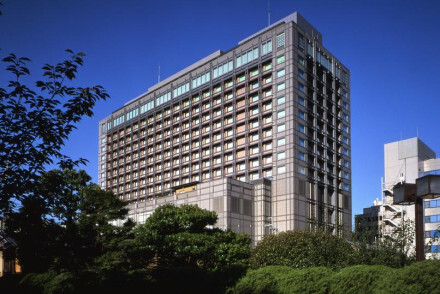 Kyoto Hotel Okura is a grand hotel standing tall in central Kyoto. Rooms are classically designed with soft hues, large floor to ceiling windows and contemporary bathrooms. Elegant reception rooms of epic scale make for glamorous evenings and there's a wide range of restaurants too. Ideal for travel or business. 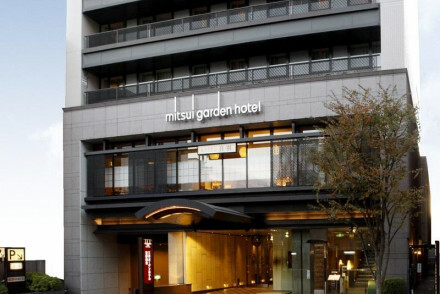 Mitsui Garden Hotel is a large reasonably priced property in the centre of Kyoto. You'll find simple but stylish Western style rooms, a restaurant serving Japanese cuisine and large garden spa for relaxation after a day doing the sights. 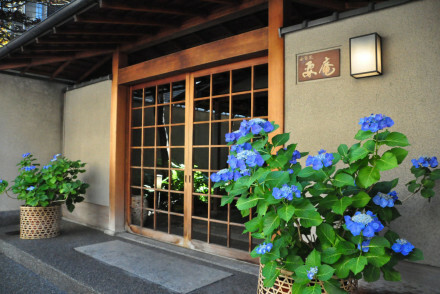 For a great value, authentic experience, Ryokan Shimizu is a charming guesthouse located in the heart of the city. Simple rooms are traditionally dressed with roll down futon beds, soft hues, large windows and tatami mat flooring. Walking distance from some of Kyoto's main attractions. If you're after an authentic experience, Kyoto Garden Ryokan Yachiyo is a chic traditional property set in gorgeous Japanese gardens. Large floor to ceiling windows perfectly frame the views. 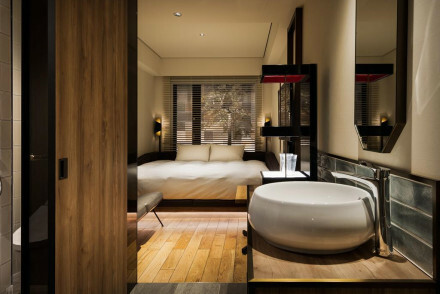 Classically styled rooms feature tatami mat flooring, futon beds and the best have indulgent luxury bathrooms. A tranquil property, well located for exploring the historical city. Located in the heart of Kyoto, Kanamean Nishitomiya offers traditional Japanese accommodation - think tatami woven-straw flooring and futon bedding. Relax in the garden with a drink and enjoy splendid half-board kaiseki cuisine! A wonderfully charming and incredibly peaceful city spot. 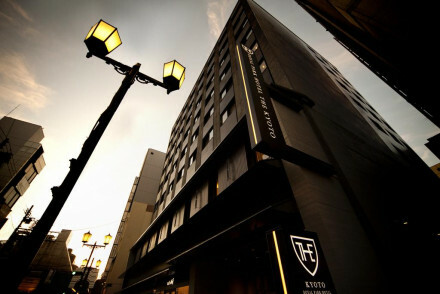 Karasuma Kyoto Hotel is a smart contemporary hotel boasting a very central location. Uniformly designed rooms are functional and light with modern en-suite bathrooms. Feast on Chinese or Japanese fare at the hotel's restaurants. Perfectly positioned for both business or sightseeing. With no shortage of amenities for guests, Hotel Granvia makes a great base for relaxing after wandering the city. A slick property boasting a central location next to Kyoto Station, where contemporary rooms feature floor to ceiling windows, crisp white linen, large modern bathrooms and epic city views. A choice selection of international restaurants and elegant bars. The perfect base for city exploring. 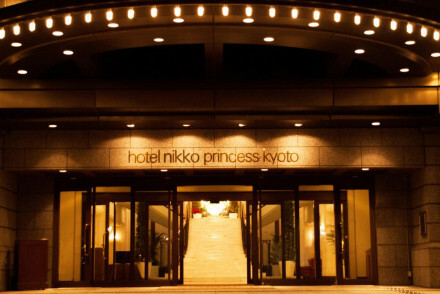 The grand lobby sets the scene at Hotel Nikko Princess Kyoto. Rooms are European in feel with large windows, pretty cornicing, crisp white linen and large luxurious bathrooms. Well positioned for exploring the city and the hotel also offers a number cultural excursions. An ideal city base. 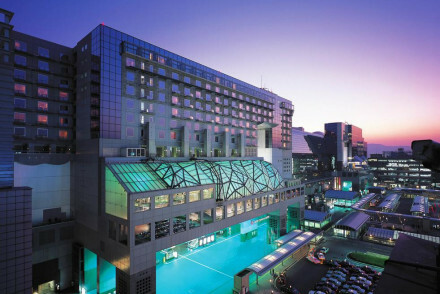 Fantastic for foodies, with an on-site restaurant and in a great location for the Nishiki food markets, The Westin Miyako Hotel is a grand hotel nestled into a lush hillside overlooking the city. Smart rooms are simply dressed with large windows to enjoy the views, contemporary bathrooms and crisp white linen. An elegant restaurant serves up continental dishes. Well located to visit Kyoto's many attractions. 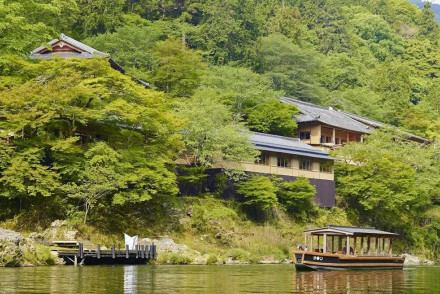 Located in a very tranquil spot, Suiran Hotel is situated along the banks of the Katsura River in the outskirts of Kyoyo. The property offers chic designer accommodation and boasts its own lush garden: perfect to relax in with a drink. Exquisite cuisine is served at their restaurant! A classy stay in a stunning spot. If you prefer your own space, we recommend visiting our online partner, Booking.com for a variety of properties to suit visitors of all needs. Fly to Kansai International Airport, located approximately 97km (60 miles) from Kyoto and about 90 minutes on the direct express train. Or catch the bullet train from Tokyo, with an approximate journey time of 2h15 mins. Best time to visit - Spring and Autumn are still the best times of year to visit, when festivals and the changing hues of the city’s gardens bring back the colour and polish of the Kyoto’s rich traditions. Browse through our list of all the best places to stay in Kyoto. A charming guesthouse located in the heart of the city. Simple rooms are traditionally dressed with roll down futon beds, soft hues, large windows and tatami mat flooring. Walking distance from some of Kyoto's main attractions. An authentic, well priced, choice. Local exploring - A well located guesthouse, ideal for city exploring. Great walks - Take a stroll around the picturesque Shoseien Garden. Sights nearby - Walking distance from Higashi Honganji Temple. A contemporary property located in the heart of Kyoto. Sophisticated rooms are minimalist in style with large windows, crisp white linen and soft hues. Indulgent Japanese meals are served in the restaurant and a public bath provides the ideal spot to unwind after a day exploring the city. 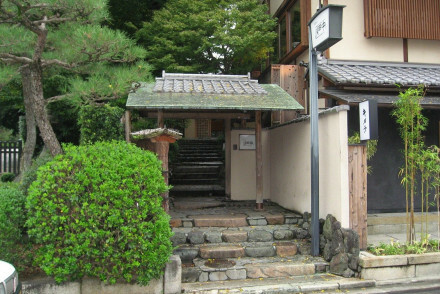 Local exploring - Well located to easily access Kyoto's main attractions. Sights nearby - Walking distance from historical Higashihongan-ji Temple and Nijo Castle. Local markets - Sample the cuisines of the region at Nishiki Market. Smart serviced apartments in the centre of the city. A selection of apartments sleep between two and five people. Decor is simple and clean; creams throughout with a functional layout, kitchens and city views. Breakfasts are served and and there's a communal lounge. Well located and priced. Local exploring - Boasting a central location with excellent transport links. Great walks - Take a stroll through the picturesque moss-covered garden of Saiho-ji, a UNESCO World Heritage Site. Sights nearby - Explore the many Buddhist temples in the city, some within walking distance. Local markets - Get lost in the bustling Nishiki Market and sample the wares. A smart contemporary hotel boasting a very central location. Uniformly designed rooms are functional and light with modern en-suite bathrooms. Feast on Chinese or Japanese fare at the hotel's restaurants. Perfectly positioned for both business or sightseeing. Local exploring - Ideally located close to many of the city's main attractions. Local markets - Sample cuisines of the region at the expansive Nishiki Market. Great walks - Stroll through the manicured gardens of Nijo Castle. Sights nearby - Visit the impressive Kyoto Imperial Palace. A recently renovated traditional two-storey wooden guesthouse. Interiors merge contemporary and classical styles creating an airy space with an authentic, yet comfortable, feel. Think tatami mat flooring, a choice of futon or western bed and modern bathrooms. The perfect base for city exploring. Local exploring - Surrounded by cultural points of interest and a true Japanese setting. Local markets - Explore the cuisines of the region at the Nishiki Market. Great walks - Take a stroll around the nearby Shosei-en Garden. Sights nearby - A short walk from Higashihongan-ji Temple. A smart property located in the heart of Kyoto. Rooms are light and airy. Expansive suites have an elegant air with antique furniture and impossibly large beds. International dishes are served in the restaurant and massages can be arranged. Well located with many sights within walking distance. Local exploring - Boasting excellent transport links with Kyoto Shiyakusho-mae Subway Station and Sanjo Keihan Station within walking distance. Sights nearby - Discover Nijo Castle and wander through it's manicured gardens. Local markets - Sample the flavours of the region at Nishiki Market. 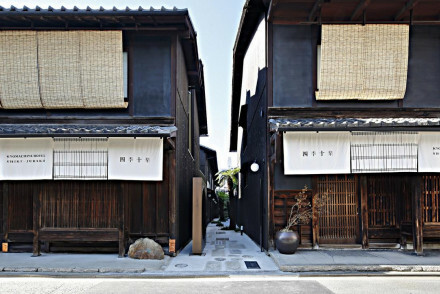 A beautiful marriage between tradition and contemporary flare, in the heart of Kyoto's old city. 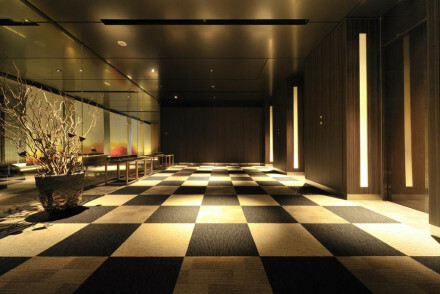 The rooms are a perfect embodiment of this with their tatami floors, minimalist style and plush modern comforts. The lobby/bar is a cool spot for a drink and the restaurant offers excellent food. The grand lobby sets the scene for this elegant property. Rooms are European in feel with large windows, pretty cornicing, crisp white linen and large luxurious bathrooms. Well positioned for exploring the city and the hotel also offers a number cultural excursions. An ideal city base. Local exploring - A conveniently placed hotel perfect as a base for exploring the city. Great walks - Take a stroll through the stunning Arashiyama area, especially beautiful during the cherry blossom season. Sights nearby - Visit the UNESCO World Heritage Site of Nijo Castle. A chic traditional property set in gorgeous Japanese gardens. Large floor to ceiling windows perfectly frame the views. Classically styled rooms feature tatami mat flooring, futon beds and the best have indulgent luxury bathrooms. A tranquil property, well located for exploring the historical city. Hideaway - A chic traditional property set in beautifully landscaped gardens. Local markets - Discover the tastes of the region at Nishiki Market. 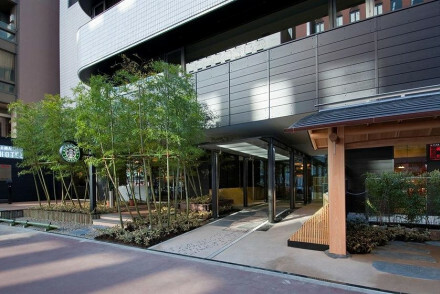 A slick property boasting a central location next to Kyoto Station. Contemporary rooms feature floor to ceiling windows, crisp white linen, large modern bathrooms and epic city views. A choice selection of international restaurants and elegant bars. The perfect base for city exploring. Local exploring - A grand hotel with plenty of amenities to unwind post a day exploring the city. Sights nearby - Discover the ancient district of Gion. The neighbourhood where geishas were trained. Great walks - Take a stroll through the picturesque Saiho-ji, a UNESCO heritage site. Local markets - Sample regional produce at Nishiki Market. A grand hotel standing tall in central Kyoto. Rooms are classically designed with soft hues, large floor to ceiling windows and contemporary bathrooms. Elegant reception rooms of epic scale make for glamorous evenings and there's a choice selection of restaurants too. Ideal for travel or business. Local exploring - Boasting a central location with many of the city's main attractions within walking distance. Sights nearby - Just a 5 minute walk from the Honno-ji Temple. Local markets - Explore the lively Nishiki Food Market. A grand hotel nestled into a lush hillside overlooking the city. Smart rooms are simply dressed with large windows to enjoy the views, contemporary bathrooms and crisp white linen. An elegant restaurant serves up continental dishes. Well located to visit Kyoto's many attractions. Local exploring - Well located within easy reach of many of the city's main attractions. Local markets - Explore the bustling Nishiki food market and sample the regions dishes. Sights nearby - Visit the World Heritage Site Kiyomizu-dera Temple. A sleek contemporary property located in the heart of Kyoto. Smart rooms are well proportioned and feature floor to ceiling windows, clean lines and luxury bathrooms. A restaurant, with a view, serves up continental buffet and A la carte options. A chic base for city exploring. Local exploring - A landmark hotel ideally positioned within walking distance from many of the city's historical sites. Sights nearby - Positioned walking distance from many of the city's World Heritage temples. 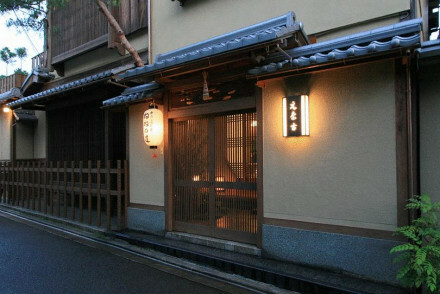 A charming traditional property in an ancient part of Kyoto packed full of historical and religious sights. Authentic rooms feature tatami-mat flooring and futon beds. Thirteen course regional meals give a true Japanese experience. Ideally located to explore the city. Local exploring - A traditional property well located within walking distance of some of Kyoto's sights. Sights nearby - Walking distance from Kiyomizu-dera Temple and the Yasaka Shrine. Great walks - Take a stroll through the picturesque Maruyama Park. Local markets - Sample the flavours of Kyoto at the Nishiki Market. A stylish hotel set in the heart of Kyoto. Spacious interiors are that perfect combination of minimalist style with a nod to Japanese design. The restaurant serves delectable Japanese cuisine and the property boasts its own public bath in an idyllic garden setting. City perfection. A chic luxury property set in pretty Japanese gardens in central Kyoto. Contemporary rooms are simply styled with pop-art, crisp white linen, large windows and indulgent bathrooms. Boasting three exemplary restaurants and a spoiling spa making this a tough one to beat. 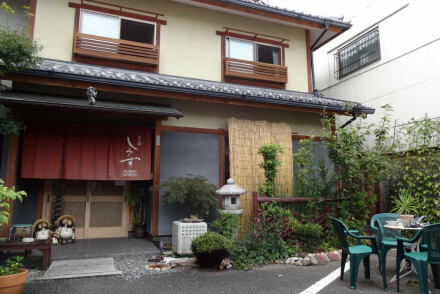 City Style - A glamorous property with fabulous service right in the heart of Kyoto. Sights nearby - Wander through Gion district with architecture from the Edo period. Local markets - Discover the region's cuisine at the Nishiki Market. Located in the heart of Kyoto, Kanamean Nishitomiya offers traditional Japanese accommodation-think tatami woven-straw flooring and futon bedding. Relax in the garden with a drink and enjoy splendid half-board kaiseki cuisine! A wonderfully charming and incredibly peaceful city spot. A stunning riverside property set in thick forest that dramatically changes colour along with the seasons. Traditionally styled rooms include paper screens, picture windows, Japanese mats and the larger ones have wooden baths. Dine on inventive regional dishes. The perfect rural escape. Total relaxation - A tranquil riverside property situated in stunning leafy countryside. Spa breaks - Experience spa treatments based on the practices of Zen Buddhism. Great walks - Take a stroll through the colourful forest and along the Oi river. Sailing - Take a romantic cruise down the river. Ten traditional machiya townhouses boasting wonderfully luxurious interiors set within the complex of Kyoto Imperial Palace West. Rooms are light, spacious and decorated with that appealing Japanese minimalist style. A calm base just minutes from the city's main sights. 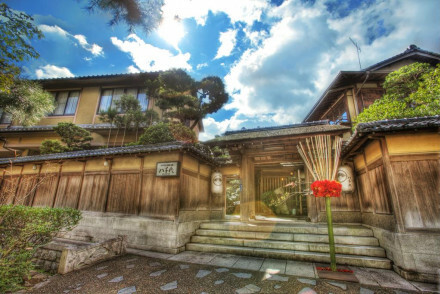 A traditional ryokan nestled in beautifully manicured gardens. Comprising of just five Japanese styled rooms. Experience Kyoto-style kaiseki dinners (made up of many courses), wander to nearby temples or simply unwind in the gardens with a good book. A blissful escape from the bustling city. Hideaway - A tranquil ryokan set in beautifully manicured gardens that make it hard to believe it's actually in the middle of the city. Local exploring - Walking distance from a number of shrines and temples. Sights nearby - Walking distance from Ginkaku-ji temple and Philosopher’s Walk. Local markets - Feast on the regions' produce at Nishiki Market. A historic property designed as a resting place from the bustling city. Rooms are traditional in style with classic Japanese minimalism; think roll down futons, paper screens, large windows and plenty of light polished wood. Regional cuisine is served alongside green tea and sake. A relaxing stay. Hideaway - A traditional rural property built as a respite from the city. Today it remains that way. Sights nearby - Visit the neighbouring Kodaiji temple and Yasaka Jinja shrine. Local markets - Explore the Nishiki Market and sample the wares. A beautifully designed traditional guesthouse comprising of just 10 rooms. Light and airy rooms feature tatami mats, garden views and the best have hot spring baths. Regional cuisine is served up in the restaurant. Ideally located for a tranquil stay yet with easy access to the city. Local exploring - A chic traditional property, set in pretty gardens and with good connecting links to the city. Sailing - Take a cruise down the river (a particularly nice experience in the autumn months when the trees are red). Fishing - During the summer watch the cormorant fishing that takes place on the Ōi River. Sights nearby - Visit the Tenryuji Temple marked as a World Heritage Site. A chic property perfectly mixing traditional Japanese style with contemporary luxuries. Boasting a central location overlooking the river. Rooms are spacious and comfortable with windows framing the lush views, bonsai plants, modern bathrooms and traditional art. Ideal for exploring the city. City Style - A luxury property boasting a glorious spa and atmospheric bar. Sights nearby - Make a trip to see the 15th century Ginkaku-ji temple. 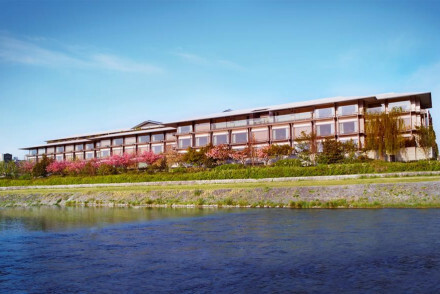 The luxurious Suiran Hotel is situated along the banks of the Katsura River in the outskirts of Kyoyo. The property offers chic designer accommodation and boasts its own luscious garden: perfect to relax in with a drink. Exquisite cuisine served at their restaurant! A classy stay in a stunning spot. Sights nearby - Tenryu-ji Temple, Togetsu-kyo Bridge and Bamboo Street are all just a short distance away!